Emmet Oliver: A man named Sue. The eagerness with which Denis O’Brien has taken legal actions in recent years shows the urgent need for a comprehensive overhaul of Ireland’s libel laws. Francesca Comyn: A refusal to wave the white flag. 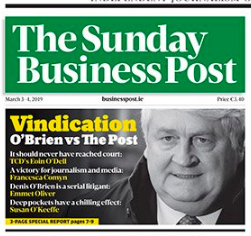 At its core, The Sunday Business Post’s victory over tycoon Denis O’Brien in the High Court was a broader win for journalism and the Irish media. Susan O’Keeffe: Defamation ruling a victory for freedom of the press. Even when journalists are sure of their facts, they take a risk once they tangle with power, a risk worth taking because it’s important for journalism and democracy. Eoin O’Dell: O’Brien’s case should never have reached the High Court. The Department of Justice needs to publish its review of the Defamation Act as soon as possible (you can download it below). And the newspaper has put the articles by Tom Lyons and Ian Kehoe which caused the furore outside its paywall, so you can see what all the fuss was about. Public interest journalism at its finest: worth defending, and celebrating, and paying for. Update 1: I am grateful to the Sunday Business Post for allowing me to post my op-ed for download here (.doc) so soon after publication. 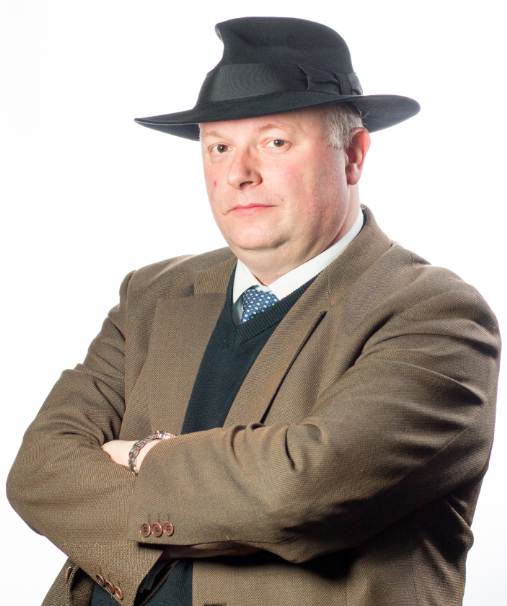 Update 2: Mick Fealty discusses my SBP piece on Slugger O’Toole.